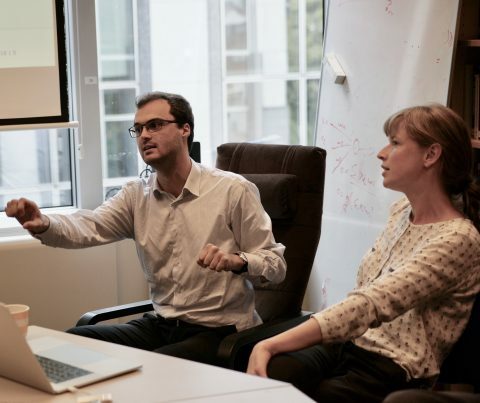 The main ideas of the ODYCCEUS project were introduced to a delegation of the Flemish Radio and Television (VRT) at the inspiration day organised at the VUB AI Lab. Paul Van Eecke and Katrien Beuls demonstrated the semantic frame extractor, which detects semantic frames in news paper articles and tries to fill in their slots. An example of such a semantic frame is the Causation frame, with the verb “cause” that evokes the frame and phrases such as “climate change” and “rising sea levels” as the cause and effect slots. You can read more about a first version of the semantic frame extractor in the online web demo. A further follow-up meeting is planned with the VRT News editorial team to discuss a potential collaboration.